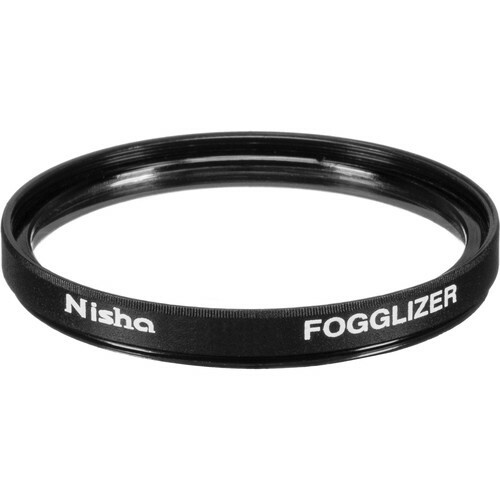 The Nisha 58mm Fogglizer Filter features a semi-opaque substrate that allows it to create the appearance of fog in an entire image. Unlike a soft-focus filter, its effect is not limited to affecting how light entering a camera is refracted. Instead, image details are deliberately obscured in a manner similar to how natural fog prevents an observer from clearly discerning objects or elements within a scene, while light sources become substantially diffused. This filter is constructed from optical glass for clarity and its aluminum alloy filter ring includes 58mm front filter threads to allow for use with other filters.